Find these and other related books from the American Psychiatric Association in the library's catalog and at PsychiatryOnline. Last Friday's Open Access event, attended by library committee members, faculty, residents, students, and staff, highlighted the benefits of retaining copyright for your published works and making your research available to everyone, regardless of access barriers. As Dean Goldschmidt emphasized in his opening remarks, "Our job is to make access to knowledge as easy as it can be." Dr Mary Moore introduced our engaging, invited speaker Heather Joseph, Executive Director of the Scholarly Publishing and Academic Resources Coalition. Ms Joseph illustrated the current state of the publishing industry by comparing the prices of licensing journals with luxury items. For example, the cost of a year's worth of access to the Journal of Econometrics is $2,155, equivalent to the price of a MacBook Air, the Journal of Geophysical Research costs $5,760 a year, equivalent to a Tiffany diamond ring, and the journal Brain Research costs $21,744, the same as a new Honda Accord. In total, the scientific, technical, and medical journal industry is a $9 billion market, comparable to the NFL. Clearly something needs to be done to regulate the exponentially rising journal prices. The Budapest Open Access Initiative, established in 2001, was the first attempt to unify over this issue of providing access to research to everyone. To date there are now 7,000 journals available in the Directory of Open Access Journals, including journals with the highest impact factors in their field. Half a million people are accessing freely-available articles in PubMed Central every day. This movement is growing, but Heather Joseph stressed the need for our support and diligence to see it continue to flourish. To this end, John Renaud, Director of Collection Strategies and Scholarly Communication at the Richter Library, showcased the University of Miami's Scholarly Repository, where UM faculty and students are invited to share their published works, theses, and other research materials (as allowed by their copyright agreements). Please contact John Renaud or your Calder librarian to learn how you can share your work in the repository, increasing access to and visibility of your research. Many thanks to the Calder Library's Scholarly Communications Committee (Jenny Garcia-Barcena, Brenda Linares, Vedana Vaidhyanathan, and JoAnn Van Schaik) for organizing this outstanding event. The current issue of Academic Medicine contains essays responding to the American Association of Medical Colleges (AAMC) 2011 question of the year "What improvements in medical education will lead to better health for individuals and populations?" The response written by Dr Mary Moore, Chair of the Department of Health Informatics and Executive Director of the Calder Memorial Library, on behalf of the Association of American Health Sciences Libraries, was accepted for inclusion in the issue. Her article, entitled Teaching Physicians to Make Informed Decisions in the Face of Uncertainty: Librarians and Informaticians on the Health Care Team, addresses the role librarians play in the health care team and led to an invitation to Dr Moore to present at the AAMC conference this weekend. Read this article and more, ranging from translational science implications to personalized medicine, in the November issue, which is available to both subscribers and non-subscribers. 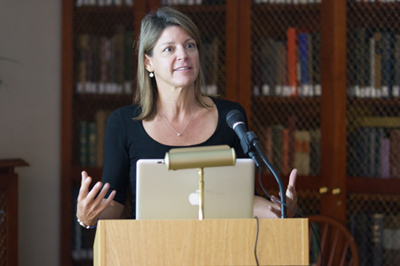 Heather Joseph, Executive Director of the Scholarly Publishing and Academic Resources Coalition, will lecture on open access publishing and its implications for research and scholarly communication at the Calder Memorial Library History of Medicine Room (3rd floor) on Friday, October 28, at 3:00 PM. Open access has been a hot news topic recently, with faculty from Princeton, MIT, Harvard, Yale, Duke and others opting to maintain the copyright on their own publications, for the purpose of increasing worldwide access to their work. For more information, see the Library’s portal on open access. 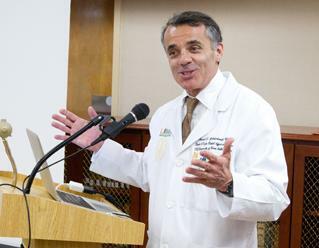 The event will include remarks by Miller School of Medicine Dean Pascal J. Goldschmidt, M.D., and a brief demonstration of the University of Miami Institutional Repository by John Renaud, M.L.S. Light refreshments will be served. Ms. Joseph has served as the Executive Director of the Scholarly Publishing and Academic Resources Coalition since 2005. In that capacity, she works to support broadening access to the results of scholarly research through enabling open access publishing, archiving and policies on a local, national and international level. Prior to coming to SPARC, she spent 15 years as a publisher in both commercial and not-for-profit publishing organizations. She served as the publishing director at the American Society for Cell Biology, which became the first journal to commit its full content to the NIH’s pioneering open repository, PubMed Central, and subsequently served on the NIH/National Library of Medicine National Advisory Committee for the project. Ms. Joseph serves on the Board of Directors of numerous not-for-profit organizations, and recently completed a term as the elected president of the Society for Scholarly Publishing. 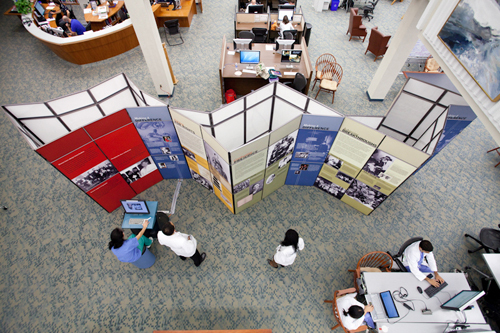 The Louis Calder Memorial Library is hosting the National Library of Medicine’s traveling exhibit, Changing the Face of Medicine, through November 6. The exhibit highlights the contributions of female physicians and researchers to the practice and study of medicine from Elizabeth Blackwell, M.D., the first female doctor in the United States, to Antonia Novella, M.D., the nation’s first female surgeon general. 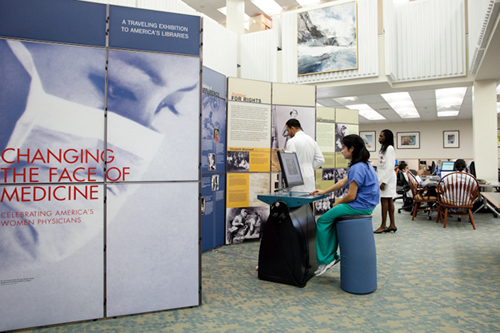 Calder Library invites you to come learn more about the lives and accomplishments of the many female physicians featured in this outstanding exhibit, including a special section on the contributions of University of Miami female physicians and researchers. 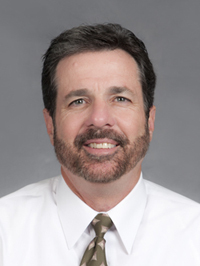 We are pleased to announce that Biomedical Communications has a new team member – photographer Jorge Perez. Jorge has over ten years of experience as a senior photographer with the City of Miami and has covered thousands of major events, including visits by U.S. Presidents and Senators, foreign heads of state, stars of the entertainment industry, and leaders of the University of Miami. It's that time of year again! The popular Calder Library book sale is back! Come to the library and see what gems you can find! All books will be priced between $1 and $5, and the proceeds will benefit United Way and the library. The books will be on sale between Wednesday, October 5, and Wednesday, October 26, in the library's lobby on a first-come, first-served basis. For more information, please call 305-243-6901. The Calder Library is pleased to announce that Barbara Sorondo has joined the staff as Manager, Library Services Interlibrary Loan department. 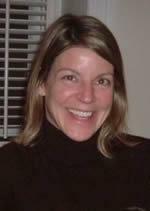 Barbara comes to the library with a strong background in biomedical and library sciences. She completed her Master of Science in Library and Information Studies at Florida State University in August 2011, and earned a Master of Science in Psychology from Florida International University (FIU) in August 2010. For the past year, Barbara served as a medical library volunteer at Miami Children's Hospital, providing reference and technical assistance. 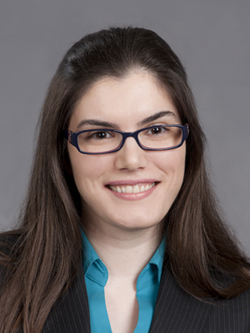 She also served as a Research Assistant in the Infant Development Laboratory and the Neurocognitive Development Laboratory at FIU and the University of Miami, respectively. She gained teaching experience conducting lectures and review sessions for undergraduate students as a Teaching Assistant in the Department of Psychology at FIU. Please join us in welcoming Barbara. We look forward to seeing how her experience and enthusiasm add to the services we are able to offer our clients. Are you looking for the reports from the most influential conferences? The Calder Library is featuring a temporary trial of MD Conference Express, where you have access to peer-reviewed conference highlights reports.